Libby Gardner spent plenty of childhood hours in this neck of the woods, often riding atop the padded center console of her dad’s vehicle, keeping a keen eye peeled for the distinct outline of a ruffed grouse. BIG MACHIAS LAKE, Maine — Libby Gardner spent plenty of childhood hours in this neck of the woods, often riding atop the padded center console of her dad’s vehicle, keeping a keen eye peeled for the distinct outline of a ruffed grouse. She began hunting the same way her dad, Larry Gardner, did: at the side of an experienced woodsman who stressed safety while imparting gentle lessons about the Maine woods. On Monday evening, Libby curled up in a chair in front of a wood stove after a chilly day afield, grateful for those early memories — and eager to make more. 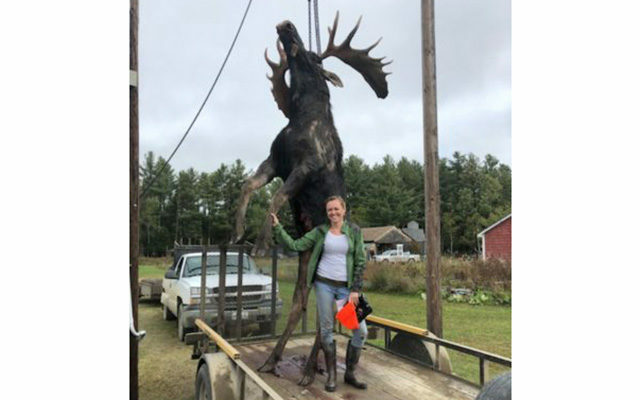 To read the rest of “The moose hunting saga: How a County father-daughter team bagged a 932-pound bull,” an article by contributing Bangor Daily News staff writer John Holyoke, please follow this link to the BDN online.